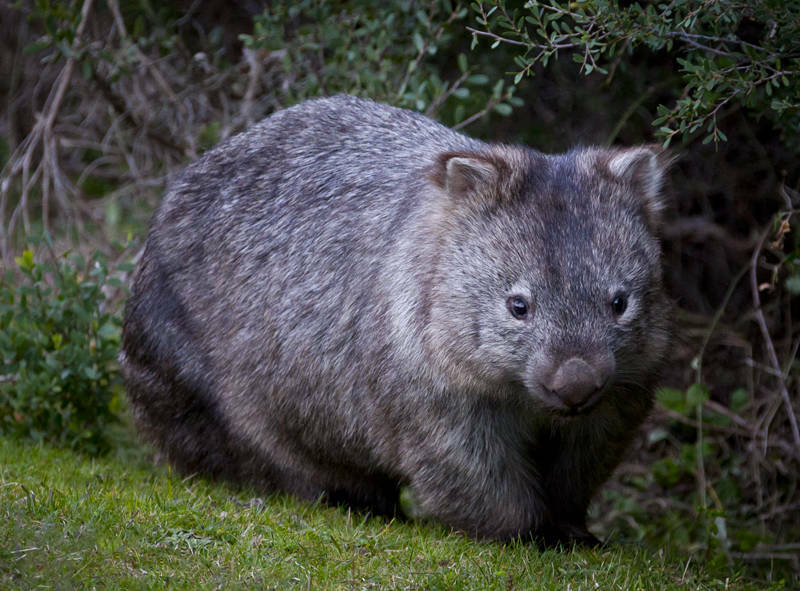 This wild wombat is one of Australia‘s marsupials. We saw this animal on the side of the road in Victoria. I jumped out the van and started taking pictures as I approached. According to my camera’s autofocus, I managed to get within 10 meters before it dived into the undergrowth. These solidly built herbivores are only about 1 metre long but can weigh between 20-35kg and are capable of flipping a car if hit. Hey, ben, glad you were able to capture this gorgeous creature, my favourite Victorian marsupial! Knew people who had one as a pet a long time ago. Hay Janina, Thanks for your comment. Wow a pet Wombat! Don’t tell my girlfriend she will want one!